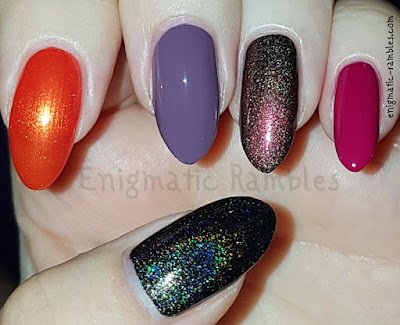 Autumn is almost upon us and so thought I would share my top five autumn / fall nail polishes. I have done similar posts in 2017, 2016, 2015, 2014, and 2013. 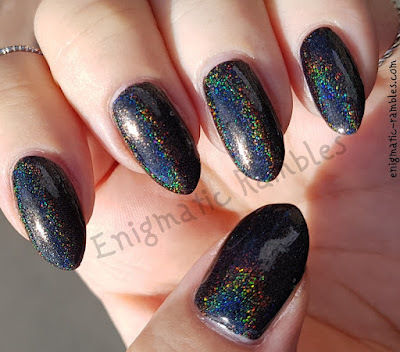 Danglefoot Polish - Oh Plesiosaur, is a dark grey holographic polish which I have chosen as a final hurrah to summer. If we are lucky autumn will still have some sunlight for us and so making Plesiosaur show off it's beautiful holographic finish. 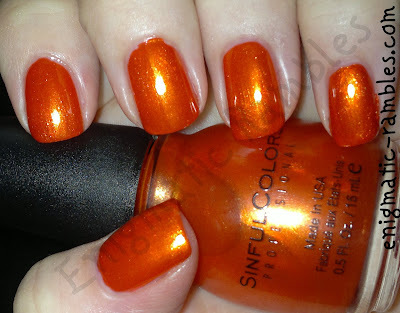 The second polish is Sinful Colors - Courtney Orange which is the only shimmer polish I have picked. It is quite a in your face type of orange but I think it works for this time of year as all the leaves begin to turn and change colour. 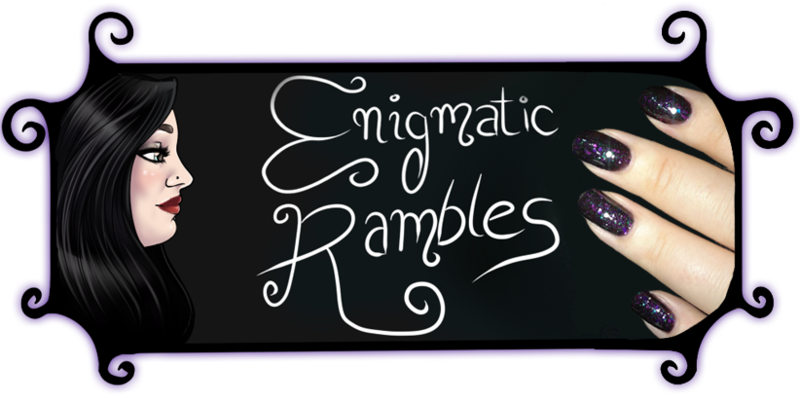 Thirdly is Barry M - Vintage Violet, a dusty lilac colour, something purple but more muted, verging on dark but not quite. 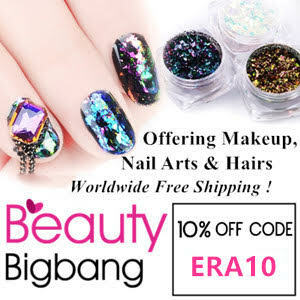 The forth pick is A England - Briarwood, which is a dark polish. 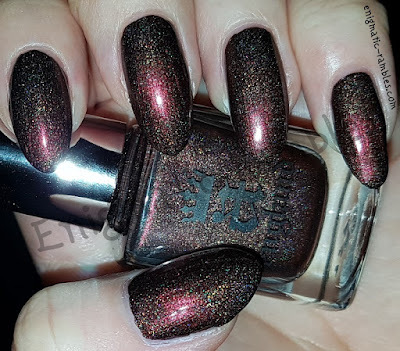 Quite similar to autumnal leaves but holographic which is a different twist on a maroon shade. 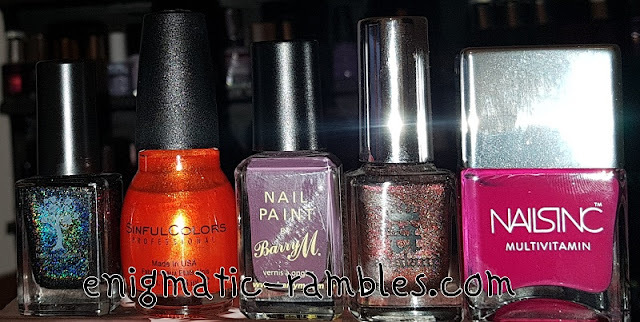 The final polish I chose was Nails Inc - Piccadilly Circus. 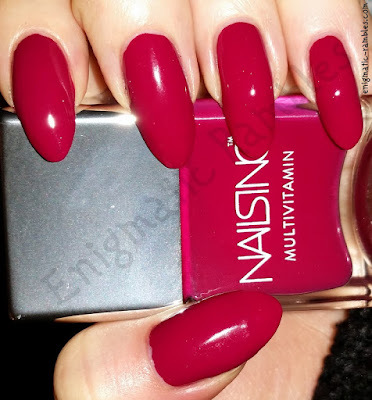 A warm berry shade which is a nice autumn way to wear a pink polish. It is a little bit deeper than it is showing in the photo below.